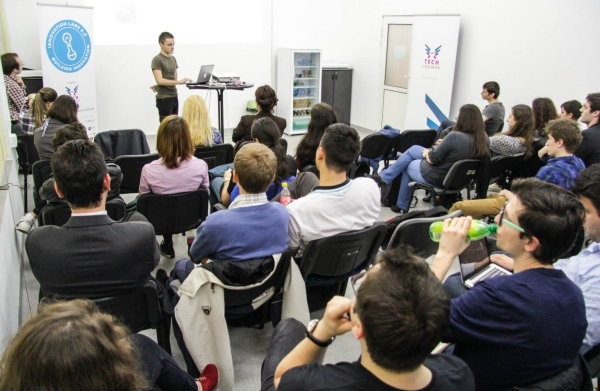 After three months of training, mentoring and hard work the Innovation Labs 2.0 graduates from Bucharest and Cluj are ready to take the stage, where they will try to convince the audience with their final pitch in search of angel investors, users or just admirers. On the 19th of May our startups will get their first Demo Day experience and put their knowledge and training to the test in front of over 200 people, which include their peers, influencers from the industry, and potential partners. The startups met with over 50 mentors, during the 8 workshop sessions, 10 tech talks with leaders from the IT industry and one high profile pitching event, the Boost Day. They learned from some, argued with others, but in the end their understanding of the market and the product grew and with it their businesses as well. The awards are for: Best Pitch, Best Product and Best Business. Check out Innovation Labs website for more information about this event.